The RAM 1500 is available in multiple trims and special editions: Big Horn, Outdoorsman, Sport, and Laramie. With a variety of transmissions, engines, and features to choose from, the 2015 RAM 1500 is built to deliver on every job. It is the only light-duty truck in the U.S. with an available eight-speed transmission. RAM's performance, efficiency, and intelligence is nowhere more evident than with its legendary towing and hauling capability. Smart engineering such as the available class-exclusive Active-Level Four-Corner Air Suspension or our TorqueFlite 8 Eight-Speed Automatic Transmission means there isn't much the RAM 1500 can't do. Available class-exclusive Active-Level Four-Corner Air Suspension offers automatic load leveling and is designed specifically to help improve capability and maintain the exceptional performance Ram trucks are known for. Its Adjustable air springs allow drivers to raise and lower the vehicle to one of five ride height settings. The Dashboard control lets drivers adjust clearance manually and Smart sensors automatically lower truck at highway speeds to help reduce drag and increase efficiency. RAM 1500 is perfect for storing tools, gear or beverages. The available class-exclusive RamBox Cargo Management System offers lockable, lit, drainable storage with remote keyless entry for extra convenience. A key component of Ram's evolved aerodynamics technology, standard Active Air Grille Shutters open to cool the engine when necessary. At highway speeds, the shutters automatically close to reduce drag and improve efficiency. With the available Uconnect Access System, the 1500 can do double duty as a mobile office or entertainment center. The available 8.4-inch touchscreen offers features like interior climate control and 3-D terrain maps. Bluetooth wireless connectivity, voice command and steering wheel-mounted buttons mean you are always in complete control. Decades of rigorous safety, security and quality testing go into every model before the rubber hits the road. 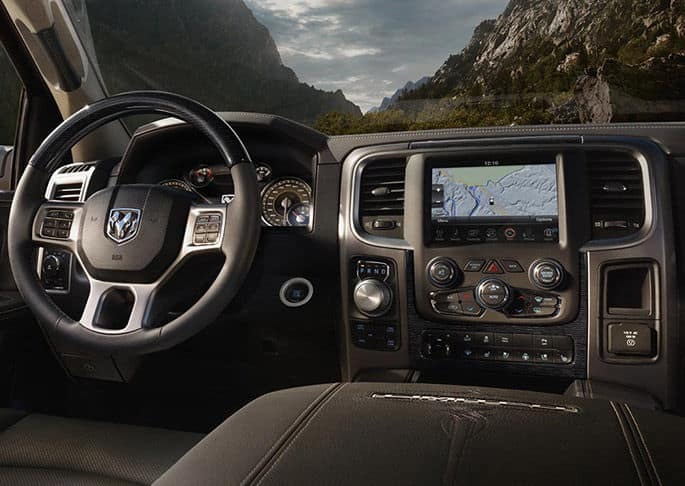 The 2015 RAM 1500 is equipped with some of the most advanced safety and security technology available. 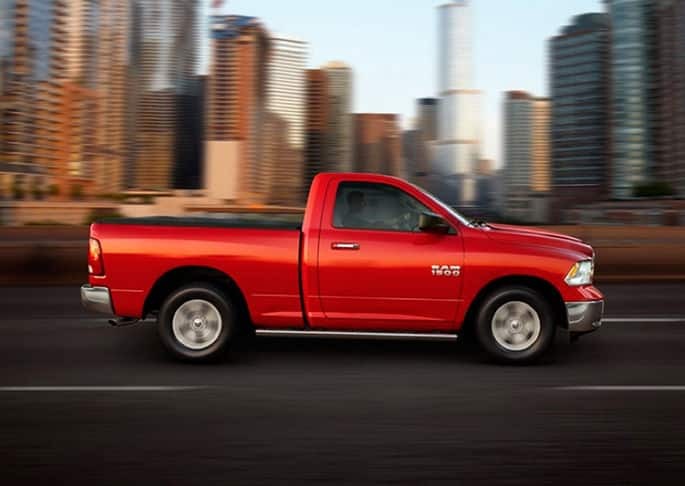 With dynamic crumple zones, side-impact door beams and an advanced airbag system, your RAM truck is engineered to help protect your most precious cargo. For more information on this model, feel free to give us a call!